When we think of health, we often think about how we can be slimmer, prettier, and physically feel better, but we often forget about mental health, which is just as important! Stress affects everyone and can have a negative effect on your mental health, as well as your physical health. That is why it is important to find ways to reduce stress in your day to day life so you can feel more motivated, which is essential for living a balanced life. Stress can impact your body as a whole, by affecting both your mental and physical health. Without proper stress management, the stress of day-to-day life can throw your entire being out of whack, with a lot of undesirable side effects. Stress can cause anxiety, tension, and depression, which can lead to things like clouded memory, reduced concentration, and frequent mood swings. In addition to the negative mental effects, stress can put you at risk for high blood pressure, poor digestion, skin problems, and can make you more susceptible to infections. So, what are some healthy ways to a calmer life? There are a lot of ways that you can de-stress, while also living a healthy lifestyle, including eating a balanced diet, exercise, and getting some fresh air. But, a very simple way to reduce day-to-day stress is by taking advantage of aromatherapy. Aromatherapy is defined as the use of essential oils to balance the body, mind, and spirit. There are three main essential oils that can reduce stress. These oils can be diffused in your home, as well as applied to the body with Youngevity carrier oils such as grapeseed and jojoba. Lavender essential oil is known for its calming effects, which can aid in reducing anxiety and depression. This oil also works well for promoting healthy sleep and can aid in issues with insomnia. In addition, studies have shown that using lavender oil in aromatherapy can calm the nervous system, which can lower blood pressure. Youngevity carries a Lavender Chamomile Essential Oil Blend, to promote the benefits of lavender essential oil, as well as the soothing effects of chamomile essential oil. Frankincense essential oil has been used for thousands of years. During ancient times, this oil was commonly used in medicinal practice. Today we use this oil for a number of reasons, such as pain relief, as an anti-inflammatory, and as an immunity booster. But, frankincense also has properties that reduce stress and anxiety, and can immediately produce feelings of peace and relaxation. Rose essential oil is often used in aromatherapy to fight depression and anxiety. This oil is known for its abilities to boost confidence and improve mental strength. Rose oil can give feelings of joy and happiness, as well as invoke positive thoughts. 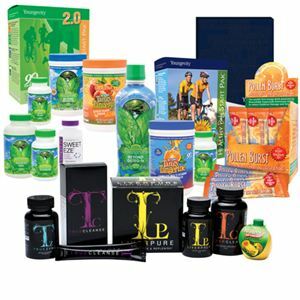 Youngevity carries all of these excellent stress-reducing oils, as well as a number of blends that promote relaxation, such as their To Be At Peace blend, which is a sweet-smelling and peaceful blend that can be diffused, used in a bath, used in a mist, or applied to a tissue and slipped between the pillowcase and pillow for relaxation and induced sleep. So, this Women’s Health Month, don’t forget that stress plays a very large role in the overall health of your body. Remember to use aromatherapy to your advantage, to kick those overpowering feelings of stress induced anxiety!